Need some single quadrant graph paper? Here it is! 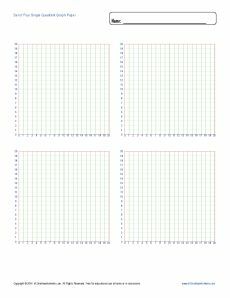 The sheet features four separate graph grids, ready for printing. You may print in color or in black and white by adjusting your printer's settings.